The first video game console I ever loved was a hand-me-down Game Boy from my sister who rebelliously outgrew video games to chase her dreams of starting a cool garage band. The handheld taught me a lot about video games, but it wasn’t until I stole a copy of my friend’s Pokémon Blue and secretly played it in the backseat of my parents’ car that I fell in love with gaming. She gave me a couple of games with it, including Super Mario Land and a random Conker title. Tetris was my sister’s favorite, and she offered it to me with the same adoration as a grandmother who passes down her engagement ring. My sister loved her Game Boy, the bulky handheld console with the green-tinted screen, and she wanted me to appreciate it the same way. If I didn’t, she said, the Game Boy would sit in a closet collecting dust. 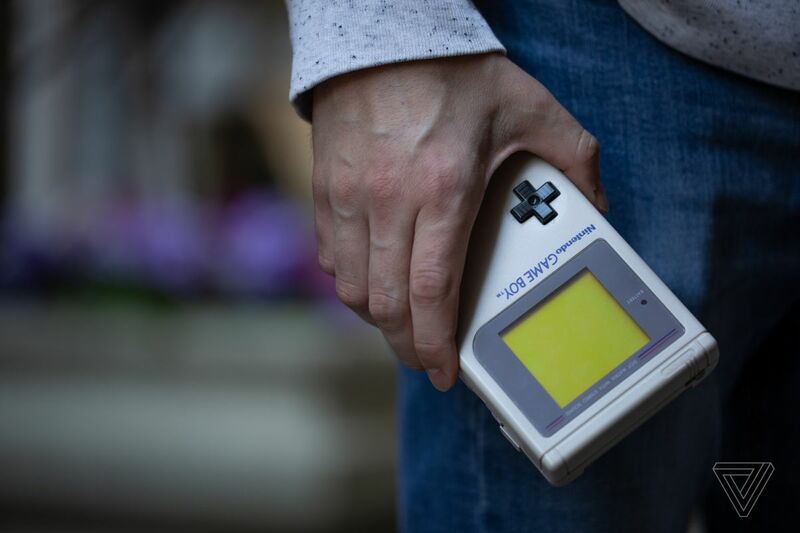 I didn’t particularly want a Game Boy at six — I didn’t really want anything other than a soccer ball and the first Harry Potter book — but I was a kid, and would rather have a dumb Game Boy than not have anything at all. I wasn’t a fan of video games when I was a super young kid. My parents, avid watchers of the evening news, bought me a Super Nintendo for Christmas after seeing reports of kids going wild trying to get their hands on the console. I didn’t go wild; it didn’t help that the only game I had was Taz-Mania, based on the Looney Tunes cartoon, and I played for five minutes before getting bored and slightly nauseous. Everything changed in 1999. I turned seven and made friends with a group of boys at my local after-school center. They loved their Game Boys. Not because of Tetris, but because of Pokémon. They were infatuated. And I wanted to play with them. My friend, whose name I can’t remember 20 years later, had a copy of Pokémon Blue. I stole it from him one afternoon when he was playing with other toys. It wasn’t the best course of action — I hadn’t even asked my parents if I could have my own copy — but this seemed like the most direct route to getting the game. I started playing it because I wanted to remain friends with the kids at the after-school center. I didn’t spend a second worrying about the possibility of a fallout with said friend once he discovered I was playing his game. I was hesitant to throw myself into the game after my traumatic experience with Taz-Mania, but I knew I had to really give Pokémon a go. So I decided to play it in the backseat of my parents’ car on the way to school, in short 20-minute bursts. I remember picking my first pokémon pal, forced to choose between the adorable Charmander or the spectacular Squirtle, and falling in love with walking through Pallet Town. My parents patiently put up with the chiptune music playing from my GameBoy. My brother watched on from the side, not old enough to play himself, but already a fan. I played it every single day in the car; I played it outside on the school yard; I played it under my desk when my teacher wasn’t looking; and I played it without abandon at the after-school center where my friends gathered around each other’s handheld consoles, yelling excitedly about different pokémon. Then, when I got home, I would leave the Game Boy on the kitchen table, and dive headfirst onto the couch, settling in for a night of television. I quickly realized part of the reason I kept playing was because I could play it in pieces. The Game Boy made playing video games, especially expansive ones like Pokémon, something I could pick up and drop when I had time to kill. If I was leaving the house, the Game Boy was coming with me. It was my constant companion, and through the time that I spent walking through Kanto with my pokémon, it spurred my first real love affair with video games. Unfortunately, all good things must come to an end. About a week after I stole my friend’s game, he realized that I took it, and told our after-school center teachers. I was caught red-handed — or blue-handed, if you will. I was forced to give the game back, and I cried. I was upset over becoming the center’s new official thief and having to face the wrath of my parents, but also because I wouldn’t be able to carry on my adventures with Squirtle and the gang. My parents refused to buy me a Pokémon game for the rest of the year and I was devastated. But without Pokémon, I was able to focus on the treasure trove of games my sister left for me. I played Donkey Kong Country for the first time; I finally played through Super Mario Land. I even tried to give Tetris another go. The little gray console became a source of great happiness for me, and a constant companion. A couple of years later, my parents gifted my brother and I Game Boy Colors for our birthdays. Nearly 20 years have passed, but I still have my Game Boy. It doesn’t work anymore. There are too many dead pixels on the screen to do anything. I never replaced it. I have a sentimental attachment to that console; it kick-started my love for video games and Pokémon — I even have a Mimikyu tattooed on my forearm. More importantly, my sister gave me the Game Boy. She could have thrown it out or sold it or just left it on a shelf to collect dust, but it became mine. It was the first thing that I felt like I owned, and Pokémon Blue was the first game I ever obsessed over. I’d like to take this opportunity to apologize to my friend for stealing his game. It was wrong, but without your inability to keep track of your belongings, I wouldn’t have been able to play Pokémon. So, I’m sorry — and thanks.